This year marks the 25th anniversary of the passage of the Americans with Disabilities Act (ADA), which mandated inclusion and equal participation for people with disabilities in many aspects of society, including government, commerce, education, travel, and entertainment. This law, and its profound significance for persons with disabilities, has been widely and rightly celebrated for making America a more just and fair nation. The most recent numbers from the US Census Bureau suggest that 54.4 million Americans have a disability, which is 18.7% of the overall population—and due in part to an aging population, the number of individuals with some type of disability is expected to grow. For every library in the United States, people with disabilities represent a significant portion of each community. The history of libraries serving people with disabilities is long and distinguished. Libraries were often the first social or government institutions in many communities across the nation to recognize the humanity of people with disabilities and provide services to promote their rights and equality. Long a symbol of inclusion, diversity, and opportunity, libraries were at the forefront, and this commitment deserves to be better known and embraced by more librarians, for it is one of the great accomplishments of our profession. 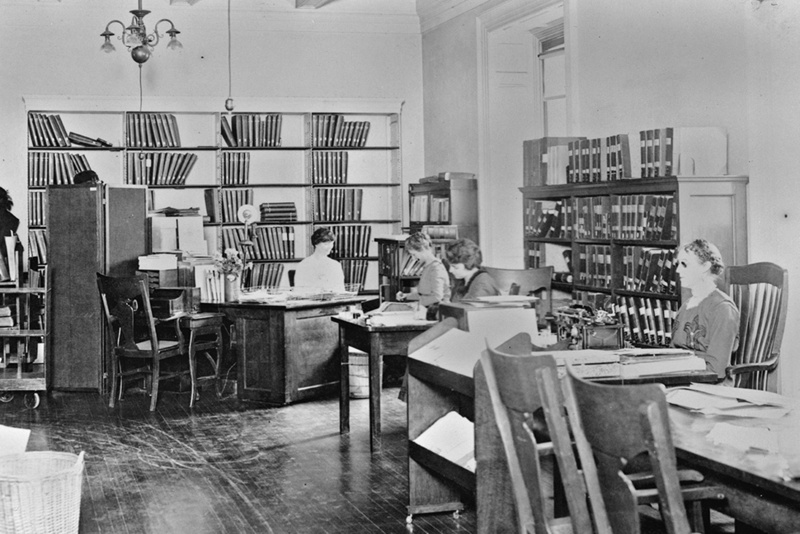 In 1897, when the Library of Congress opened its reading room for the blind, some public libraries, school libraries, and library consortia had already been building collections of materials in alternate formats for about 50 years. 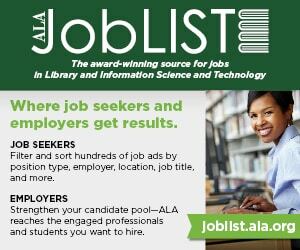 The establishment in 1906 of the American Library Association’s (ALA) first committee for services to people with disabilities cemented the national leadership of libraries in the struggle for inclusion of persons with disabilities. 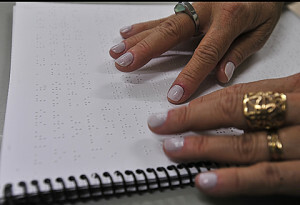 Soon after, the federal government and state governments began to create special libraries of materials specifically for people with disabilities, while libraries all over the nation began to build collections of materials in new formats, like records and talking books. These developments in librarianship occurred before people with disabilities had gained many basic rights in many other contexts, from the right to have an education or employment to even the right to go outside at certain times of day in communities that had what were known as “ugly laws.” When eugenics laws in many states were promoting the mass sterilization of people with disabilities in the 1920s and 1930s, libraries were formalizing and expanding service to patrons with disabilities. Librarianship has long been a political act—even a quietly political one—to ensure inclusion. Librarianship has held firmly to this stance. In 1961, the ALA crafted the first in a series of standards to make certain that equal service to persons with disabilities was being provided. Within 20 years, public libraries, school libraries, and academic libraries all had clear standards and mandates for services for individuals with disabilities, for accessible building design, and for inclusive materials and services. The comprehensive “Library Services for People with Disabilities Policy” (2001) is now 15 years old. Knowledge of the legal rights of (and the issues of service to) patrons with disabilities is a required aspect of the curriculum for ALA-accredited master’s programs awarding a master’s of library science or a master’s of library and information science degree. 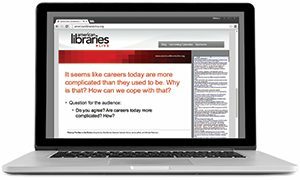 The practice of librarianship has focused on access for patrons with disabilities as needs and technologies evolve. The adoption of the internet in libraries led to discourse about accessible library websites, online resources, digital libraries, and assistive technologies as well as accessibility as part of broader discussions about library services. Libraries were often the first social or government institutions in many communities across the nation to recognize the humanity of people with disabilities and provide services to promote their rights and equality. Today, libraries still stand as the most inclusive institution in society. A meta-analysis of all studies of web accessibility showed that the highest average levels of accessibility of websites was found in libraries, according to Disability and the Internet: Confronting a Digital Divide, a 2012 book that one of us (Jaeger) wrote about the state of accessibility for people with disabilities. The web presences of primary and secondary schools, colleges and universities, government agencies, nonprofits, and corporations were all significantly less accessible on average than the presences of libraries. While libraries still can, and should, do more to make their web presences more inclusive, they have done better than any other major type of social institution. In this age of the internet, libraries continue to lead and innovate in working with persons with disabilities. 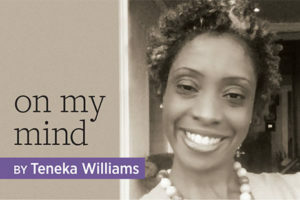 Public libraries are building accessible makerspaces for people with disabilities; academic libraries are developing inclusive online resources; special libraries are continuing to find new online venues to distribute materials in alternate formats; and professional organizations are building new means of advocating for people with disabilities, like the Association of Research Libraries’ Accessibility Working Group. In their goals of continually providing equitable services to people with disabilities, libraries certainly face challenges. Much electronic content is now leased or purchased rather than collected, so libraries have to learn ways to ensure that contracts for database subscriptions and other resources are for products that are accessible. Further, libraries need to consider the implications of their hardware and device choices on persons with disabilities. Libraries must also juggle goals for accessibility with the needs of other socially marginalized populations as fewer institutions have the commitment or capacity to serve their communities and libraries—particularly public and school libraries—and take on more and more social service roles. And, of course, funding always looms as a consideration for all types of libraries as they face an unlimited number of needs with very limited resources. In spite of current challenges, the library will continue to be a champion for the inclusion of people with disabilities. As we consider the 25th anniversary of the federal government’s commitment to the equality of people with disabilities, the much longer commitment of libraries to the equality of people with disabilities is an accomplishment to embrace, to proclaim, and to serve as a reminder of the true power of the library. PAUL T. JAEGER and JOHN CARLO BERTOT are editors of Accessibility for Persons with Disabilities and the Inclusive Future of Libraries, which will be released this fall by Emerald. Jaeger and Bertot are directors of the MLS program at the College of Information Studies at the University of Maryland, College Park.